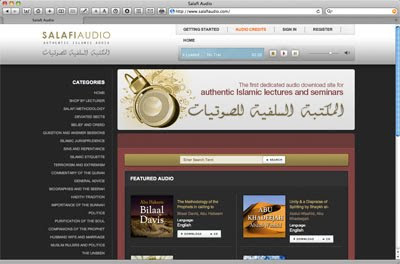 The Albaseerah Blog | Calling to Islam in Bradford upon the Salafi Manhaj: The ALL NEW Salafi Audio Website is now LIVE! Each lecture is only 50 Pence (UK), that's less than a US Dollar and less than a Euro! And if you want us to rip it to CD for you and post it to your home, just choose the CD option and we'll post it out to you. Just purchase a starting credit of only 2 UK Pounds - and that will entitle you to download 4 audios. Thereafter all you need to do is top-up your AUDIO CREDIT as and when you need it.